Exports from Gaza are up and unemployment is down due to Israel's decision to maintain 'a stable security situation' in the terror enclave. 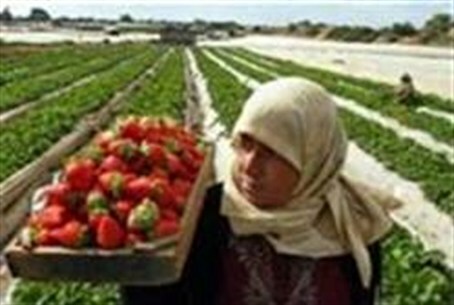 The international community and Palestinian Central Bureau of Statistics (CBS) recently published growth figures of Gaza's economy for the second quarter of 2011. According to quarterly data the rate of economic growth in Hamas-run Gaza is 31% compared to same period last year while unemployment fell to its lowest level for nearly a decade, 25%. This decline in unemployment in Gaza is the continuation of a three-quarter trend. By comparison, the overall quarterly output of the PA overall grew by 11% between quarter in 2010 quarter in 2011, which included Gaza. The growth for PA enclaves in Judea and Samaria was 5% during the same period. Israeli officials note claims of a "humanitarian crisis" in Gaza run contrary to the fact that the Kerem Shalom crossing between Israel and Gaza is never at full capacity despite all requests for international aid to the enclave being met on a daily basis. The real problem in Gaza is jobs and exports, they say, which is improving. The sharp growth in Gaza stems directly from the Israeli government's decision in June 2010 to maintain a security status quo vis-a-vis Gaza while liberalizing economic policies to allow increased exports from the terrorist enclave. Most Gaza exports are from the agriculture sector. Critics say Israel's leaders have sought to appease international critics by improving conditions in Gaza at the expense of their own citizens' security and well-being. Over 12,000 rockets and mortars have been fired at Israel's Gaza belt communities from the Hamas-run enclave since 2001. A growing number of security officials and experts have called for a large-scale operation in Gaza to root out the terror infrastructure there. They include Minister of Internal Security Yitzchak Aharonovich and former IDF chiefs of staff Shaul Mofaz, Moshe Yaalon, Dan Halutz, and Gabi Ashkenazi. Earlier this week Maj. Gen. Yoav Galant (ret.) said Israel's negligence vis-a-vis Gaza would eventually force it into a major operation. "We'll have to send the bulldozers in," Galant said.